From our wide consignment, we are affianced in supplying LCD Repair Machines. ECS can repair almost all kind of LCD\LED products weather it is desktop monitor or notbook Panel or big size TV of any size(7" to 65"). ECS have setup of Class 100 & Class 1000 Cleanroom facility of total 2000 sq. ft. at Ahmedabad. 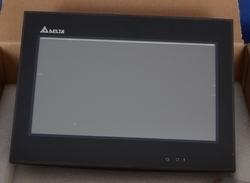 We Have Provide All Type Industrial HMI LCD Repair & Trading. Professionals work keenly to provide LCD Monitor Repair Services. 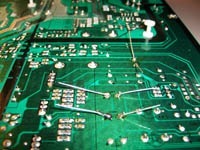 This repair service is best in the market and reliable. Moreover to this, offered monitor repair services are quickly completed by sharp minded professionals in easier way. We are specialized in offering services related to LCD TV Repairing. With the use of advanced machines and quality raw material, the projects are accomplished precisely and within a given time frame. The defects of BLU are No Display, CCFL and connector Burnt white and Dark Patches, foreign particles, dents. Repair action for the above mentioned defects is to replace BLU, CCFL, Light guide, and diffuser sheet. LCD TV are prized for their light weight, slim profile and excellent picture quality, LCD TVs are typically very reliable however like any consumer electronic device they can suffer from faults or damage and need to be repaired.